Loaded BBQ Pork Shepherds Pie. 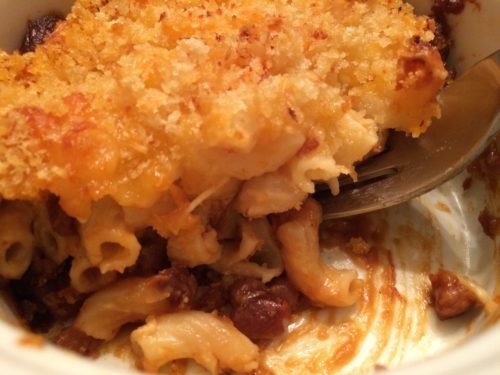 One dish casseroles are an easy option for weeknight meals. My Loaded BBQ Pork Shepherds Pie takes advantage of leftovers from other meals. You’ve likely heard of the “loaded baked potato” topped with sour cream, cream cheese, shredded hard cheeses, broccoli florets, bacon bits, chives or scallion tops, etc. 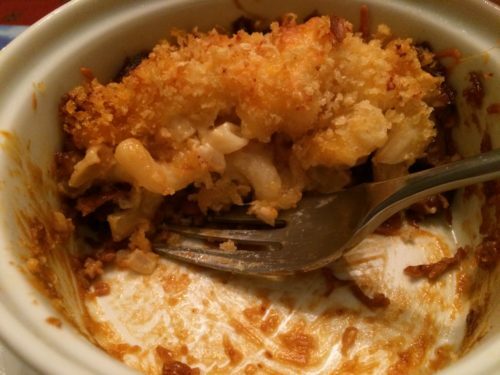 My Loaded Shepherds Pie is made from layers of Honey Mustard Baked Beans, my husband’s fabulous pulled Smoked Pork tossed in barbecue sauce, The Food Lover’s Favorite Mac and Cheese, and topped with shredded cheese and panko breadcrumbs. 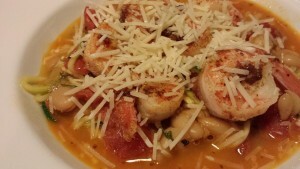 It’s a super simple recipe and comes together quickly with leftovers. 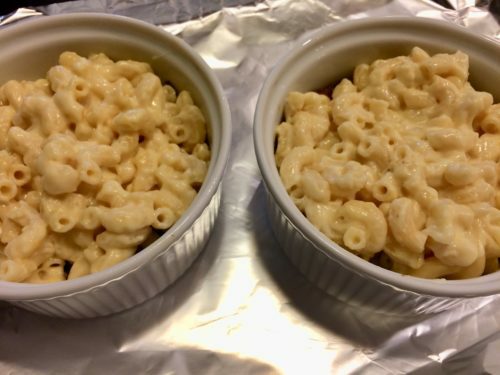 This recipe was suggested by a good friend who loves to go to potluck dinners and wishes to remain nameless for this posting. 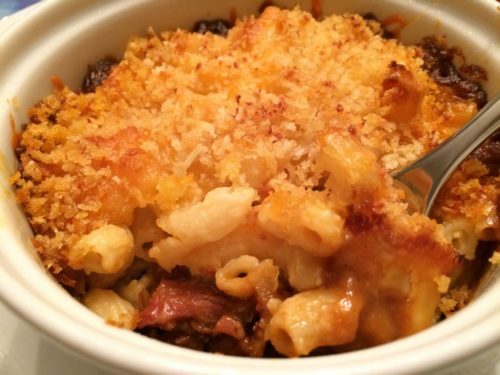 She is interested in a great way to use some leftovers in a casserole-type of dish for her next potluck dinner. 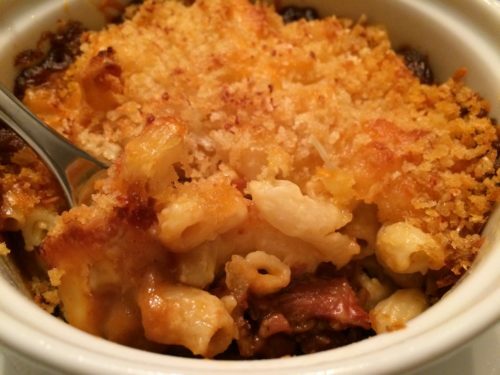 Her version paired my mac and cheese with store-bought smoked pork. 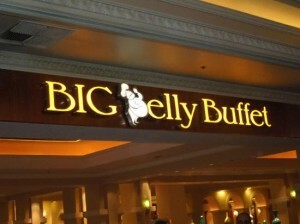 She served my honey mustard baked beans on the side. 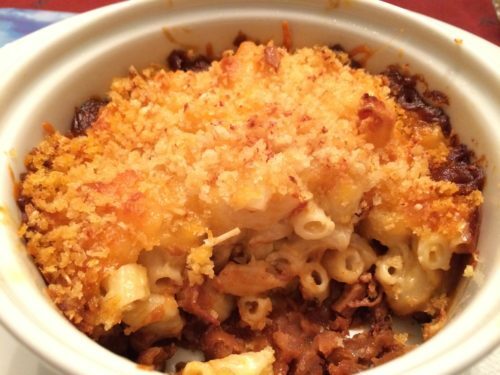 Several of the potluck attendees mixed the smoked pork mac and cheese with the baked beans and said it was a hit. 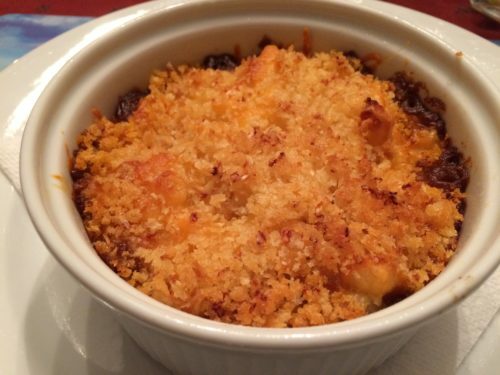 Traditionally, Shepherds Pie (or Cottage Pie) combines some sort of ground, chopped or shredded meat with diced or cubed vegetables and a gravy or broth. 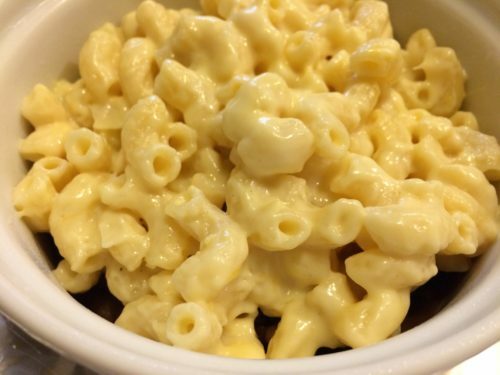 The meaty filling is usually topped with mashed potatoes and baked until the mashed potatoes are a golden brown. 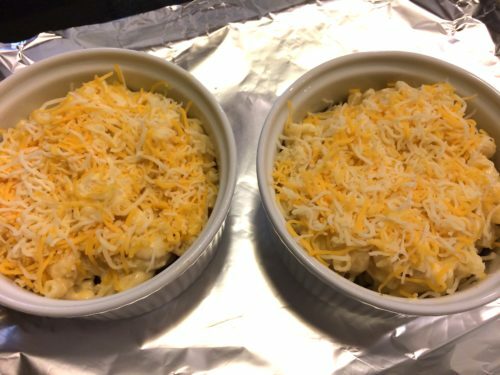 Let’s get started on how to make my Loaded BBQ Pork Shepherds Pie. Start out by coating the interiors of two ramekins (or one large ramekin) with cooking spray. Add some of my honey mustard baked beans as the first layer. 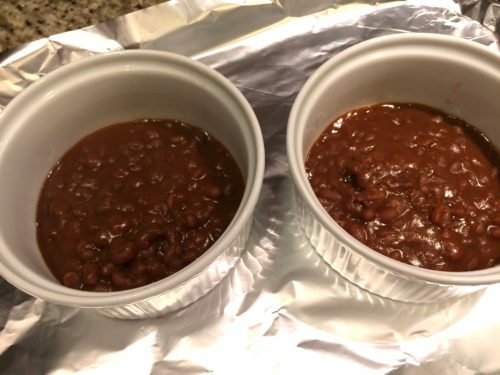 I like to use a thinner version of my baked beans (add water or vegetable stock to thin). 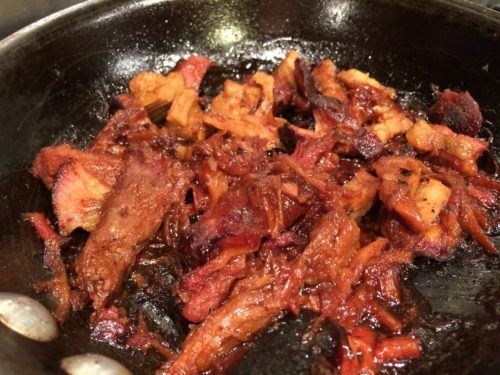 Mix the pulled smoked pork with your favorite barbecue sauce. 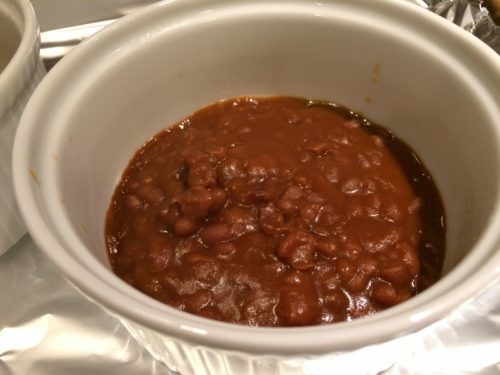 Then, layer the BBQ smoked pork on the baked beans. Then add a layer of mac and cheese on the BBQ smoked pork. And now add a layer of shredded cheeses. And top with a mixture of melted butter, panko breadcrumbs and a touch of shredded Parmesan cheese. 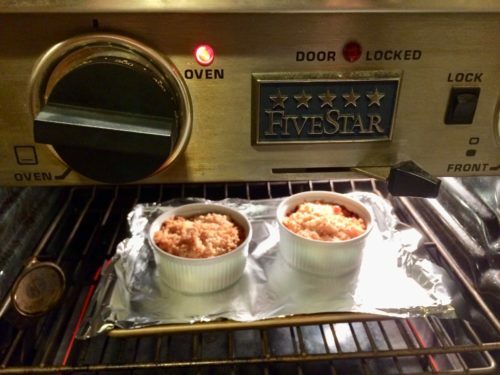 Bake for 20 – 25 minutes (or up to 40 – 45 minutes with a larger ramekin) at 350 degrees Fahrenheit. 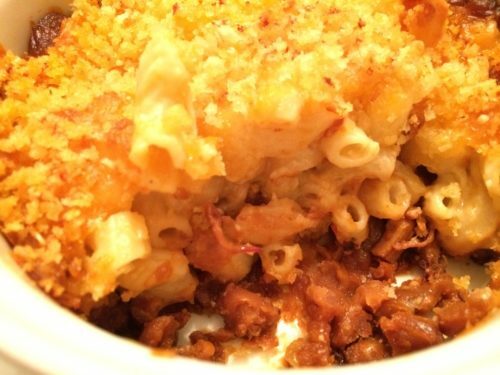 The Loaded BBQ Pork Shepherds Pie is done when the panko breadcrumbs have turned a golden brown and the filling is bubbling. 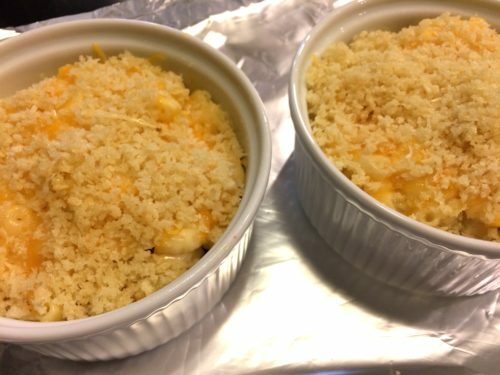 Remove the ramekin(s) from the oven and let cool about 5 minutes. And serve! None of these Shepherds Pie recipes is low fat or low calorie. Eating some decadent dishes in moderation is what life is all about. Stay tuned for my next Shepherds Pie recipe which will be a Vegetarian Shepherds Pie that SHOULD be lower in fat and calories. 2. 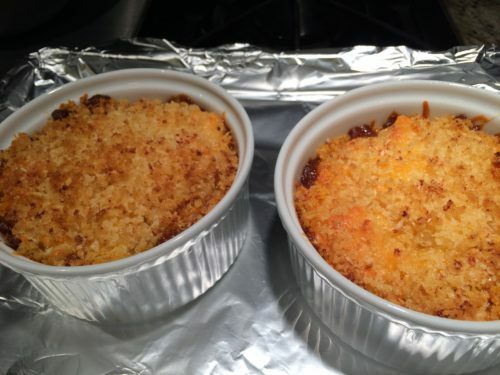 Coat the inside of two baking ramekins or a large deep baking dish with cooking spray. 3. 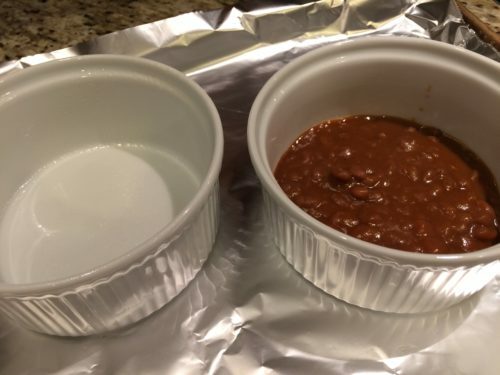 Spread the baked beans over the bottom of the ramekins or baking dish. 4. 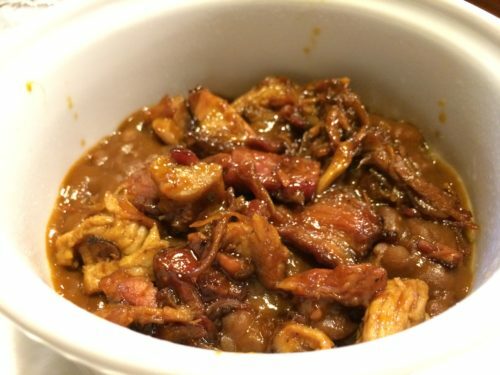 Mix the smoked pork with the barbecue sauce. 5. 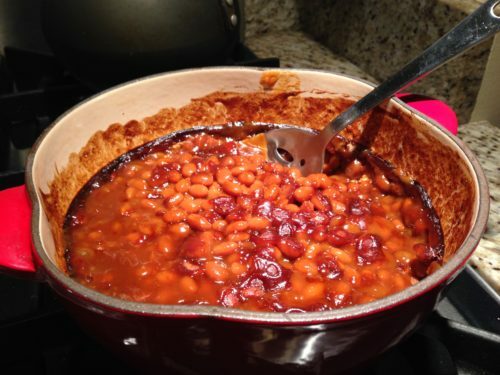 Add the smoked pork in a layer on top of the baked beans. 6. 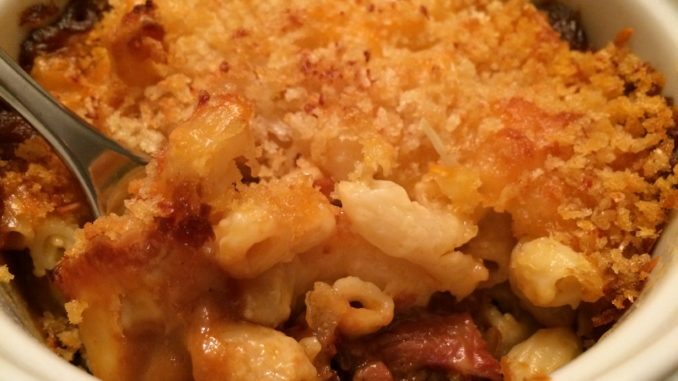 Top the smoked pork with the mac and cheese. 7. 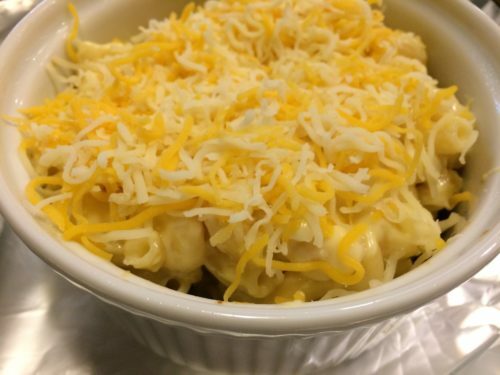 Sprinkle the shredded cheddar cheese over the mac and cheese. 8. Mix the melted butter and breadcrumbs together until combined. 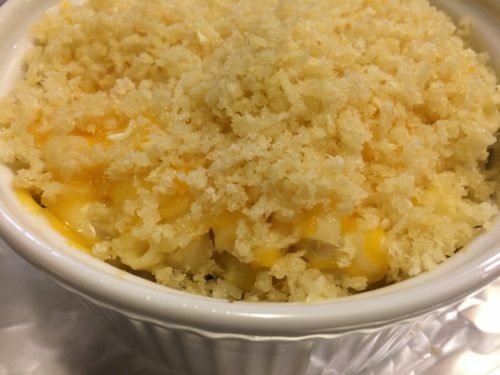 Stir in the shredded Parmesan and spread the breadcrumb mixture over the cheddar cheese. 9. 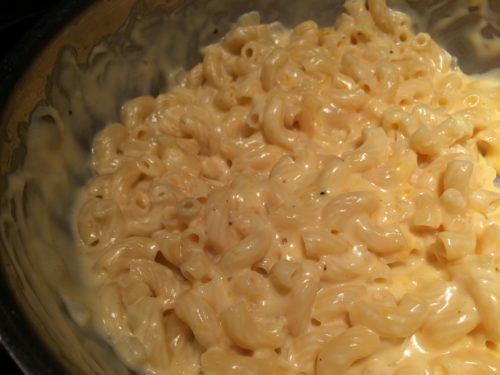 Bake the casserole for 45 – 60 minutes until the center is hot, the cheese is bubbling, and the breadcrumbs have turned a lovely golden brown. Serves 2 – 4 hungry diners as a main course. Serve alongside my Simple Cucumber Salad or a field greens salad with my lemon thyme vinaigrette or my Herby Buttermilk Dressing. 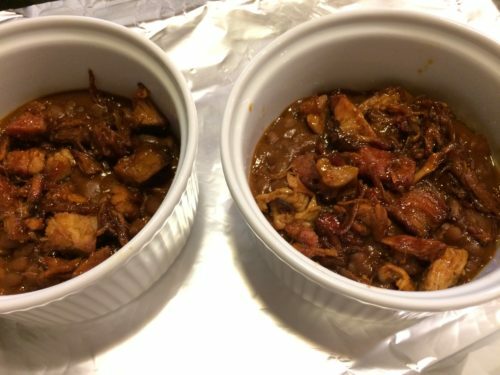 Variations: Use pulled plain pork rather than pulled smoked pork. Use diced ham or pulled chicken instead of pork. This dish travels well as a casserole for a picnic or potluck.